SSL Certificates. Securing Website & Cloud Software Through Encryption, Leicestershire, Midlands. Not so long ago, SSL certificates were generally only found on internet banking and e-commerce websites, those where financial transaction or payment details were used. Today, the world has changed - SSL certificates are an abolsute necessesity for internet security. 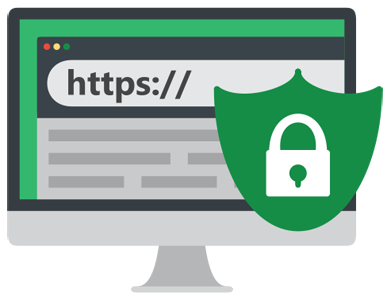 Data Protection, encryption, search engine placement and browser security, to name but a few reason as to why SSL certificates are so important. If your website isn't securely encrypted with SSL, then call us today. SSL: Does it really matter? Since 2017, Google has been actively promoting websites that are secured by a SSL over those that aren't. 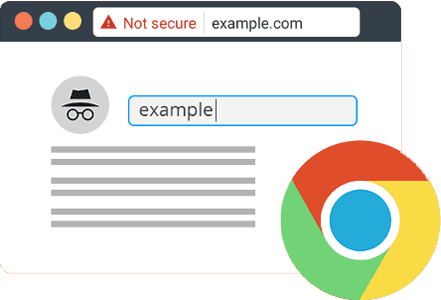 Google Chrome will soon flag websites that don't have SSL as unsecure. Data protection is a huge hot-topic in everyday life. 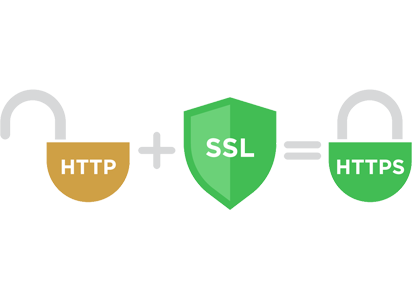 Simply protecting your website with an SSL certificate, helps is a step towards combatting such issues. Can any business really afford to have these issues? SSL is an acroymn for Secure Socket Layer - you'll recognise this by HTTPS within your browser address bar. An SSL certificate is a digital 'key' which sits on a webserver, acting as a 'guardian' for the website. When you visit a website that isn't protected with SSL, the information that flows between you and the website is sent in a plain format which could be intercepted, read and even changed. However, with SSL, that same information is encrypted, so that ONLY the server and your browser see the information. Every website that we at Iosys develop is secure as standard. We think it's the best way to move forwards, by actively promoting security and secure practices. Our standard certificates offer a high level of protection, but higher specification SSL certs are also available. If your website isn't currently securely encrypted by SSL, ask your developer 'why not'? SSL - Are certificates all alike? The simple answer here is, no. Different certificates have different capabilities. Some secure single domains, whilst others can secure many. Some offer company verification, and others offer high levels of insurance. 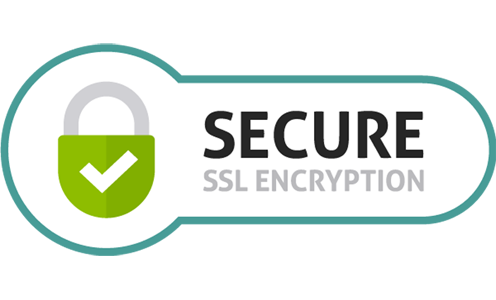 All SSL certificates that we at Iosys provide are 256-bit utilising SHA-2 encryption.